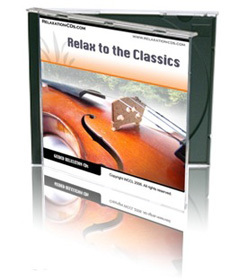 Enjoy the ultimate in relaxation, thanks to the greatest composers of all time! What better way to relax than by listening to the music of some of the greatest composers of all time? Well, there’s one better way, perhaps – combine it with a short swim in a rainforest lagoon! Pop this CD on your computer or music player and, with the help of our guided visualization, you’ll imagine yourself in a beautiful lagoon at the base of a waterfall. Giant tree ferns sway gently around you, while exotic birds swoop overhead calling to one another. The waterfall cascades into the lagoon, sending showers of sparkling droplets into the air. It all looks too tempting, so you take off your clothes and dive in. The water is cool and refreshing, and for a few minutes you simply enjoy the sensation of being here, in this wonderful place, without a care in the world. All while listening to some of the best classical music around. It really is the perfect way to relax and unwind after a hard day. We guarantee you’ll be on “classic” good form every time you listen to this CD!